Last night my lovely friend and neighbour Serena came over and joined Steve and me for supper. 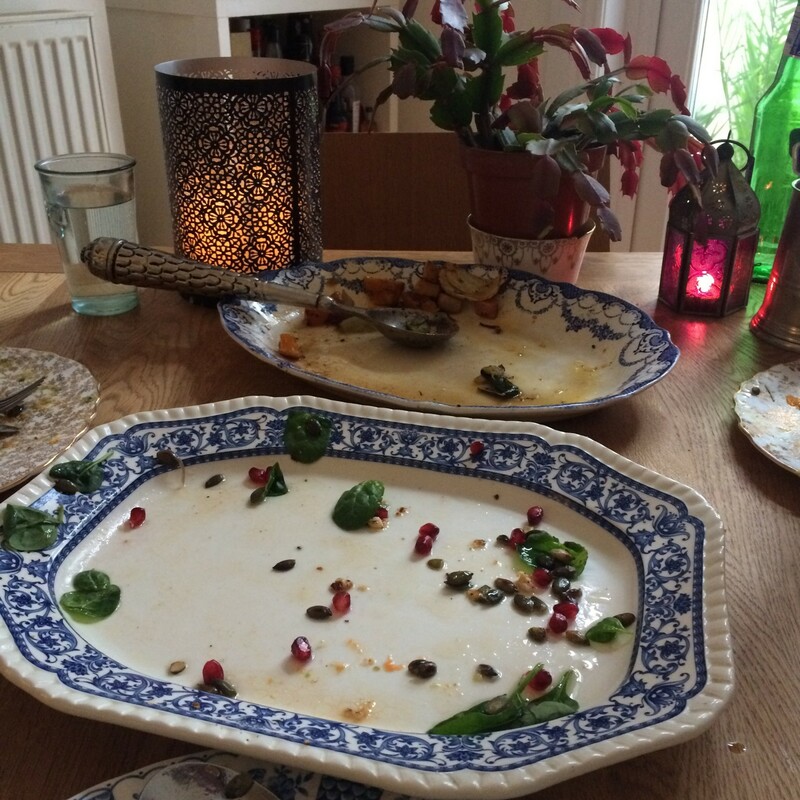 We had a lovely evening chatting, eating and laughing! She has recently discovered an app called periscope. With it you take a video and broadcast it live through the app and people all over the world can watch and comment. It made me giggle but was great fun! My first venture into television! 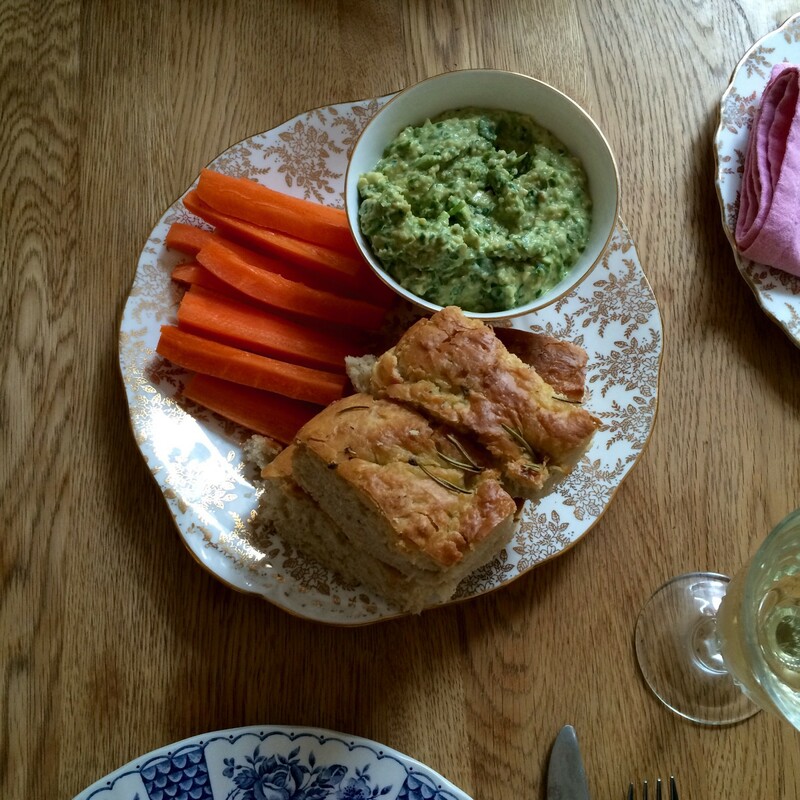 For our first course I made my parsley houmous recipe and we had homemade focaccia and carrot sticks to dip. Garlicky goodness! For our second course I made a salad with papaya, haloumi cheese, pomegranate and spinach all topped off with toasted pumpkin seeds. 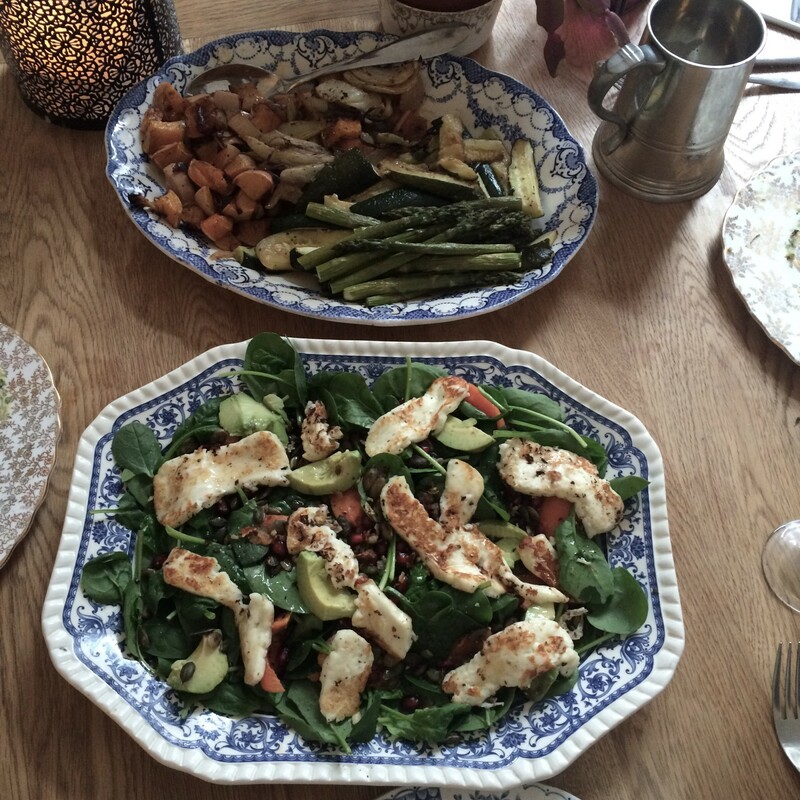 The second dish was a selection of roasted veggies. 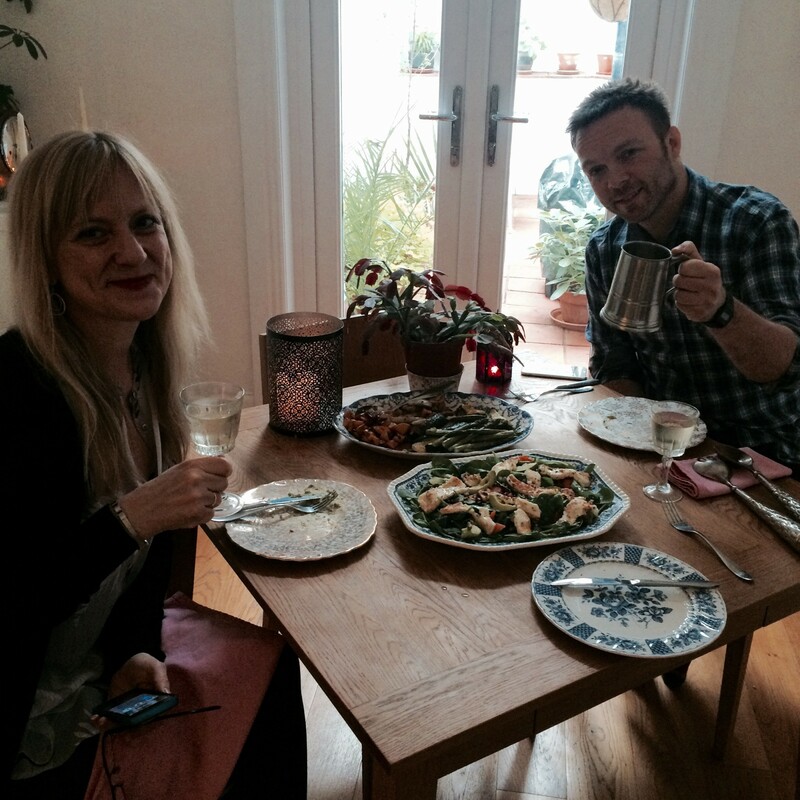 We had roasted herby courgettes, butternut squash and fennel with red onion and finally British asparagus. Yummy! I thought there would be left overs for tomorrow’s lunch but obviously not! I am glad that everyone enjoyed it!. The clean plates prove that! Serena came with a gift for dessert. A cheesecake with a Seville orange marmalade topping.. Sorry.. No photo! Oops! I would just like to say that it was so tasty and refreshing! Thankfully a slice remains so I might get to have it tomorrow providing Steve doesn’t get to it first! We really did have a lovely evening.. I can’t think of better times to be had than when you are with friends eating, drinking and laughing. I look forward to the next ‘light supper’. ← A city courtyard garden.